The South Pacific should have meant warm sand and a soothing sea--period. But Rachel McNaught's search for her half brother took her to all kinds of places--and into all kinds of trouble. Sabotage, tropical poisons, near-marriage to an island god, even a cult that promised pleasure beyond earthly expectations--peril confronted Rachel at every turn. 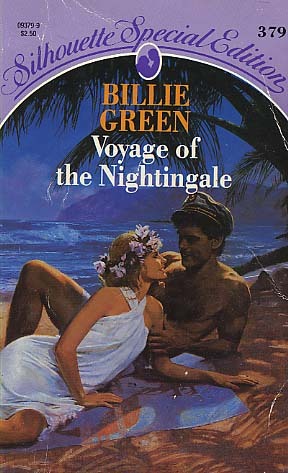 The biggest hazard of all was Flynn, captain of the Nightingale, ruffian" and vagabond-... and every inch a man. Rachel suspected she could survive everything she had to face--except falling in love with Flynn.